Exercise Hand-in-Hand in progress. 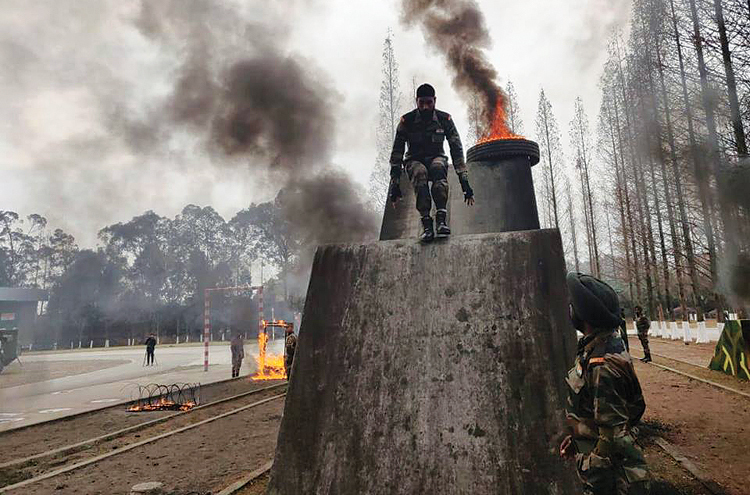 The exercise is conducted as part of military diplomacy and interaction between armies of India and China. 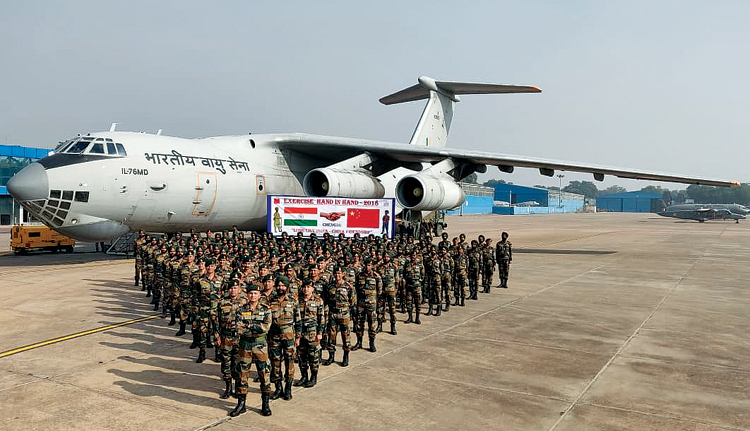 Exercise Hand-in-Hand is conducted annually as part of military diplomacy and interaction between armies of India and China. The exercise involves tactical level operations in an international counter-insurgency/counter-terrorist environment under UN mandate. The conduct of Joint Military Exercises is also an important step to uphold the values of peace, prosperity and stability in the region. It was held at Chengdu, China from December 10 to 23, 2018, with the aim of building and promoting close relations between armies of both the countries; to enhance ability of joint exercise commander to take military contingents of both nations under command and to acquaint both the Armies with each other’s operating procedure in the backdrop of counter-terrorism environment. 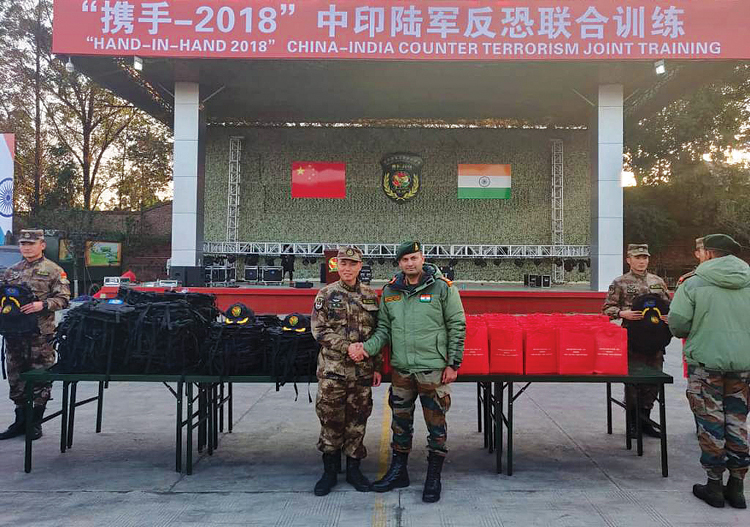 Opening ceremony for the 7th Sino-India joint exercise Hand-in-Hand 2018, scheduled from December 10-23, 2018, was held on December 11, 2018 at Chengdu, China. 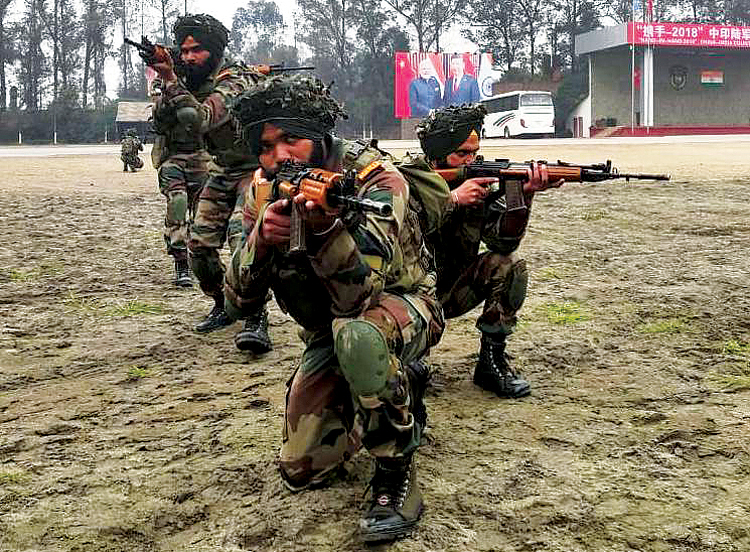 Company size contingents of 11 SIKHLI from Indian Army and a regiment from Tibetan Military District of People’s Liberation Army (PLA) participated in the exercise. 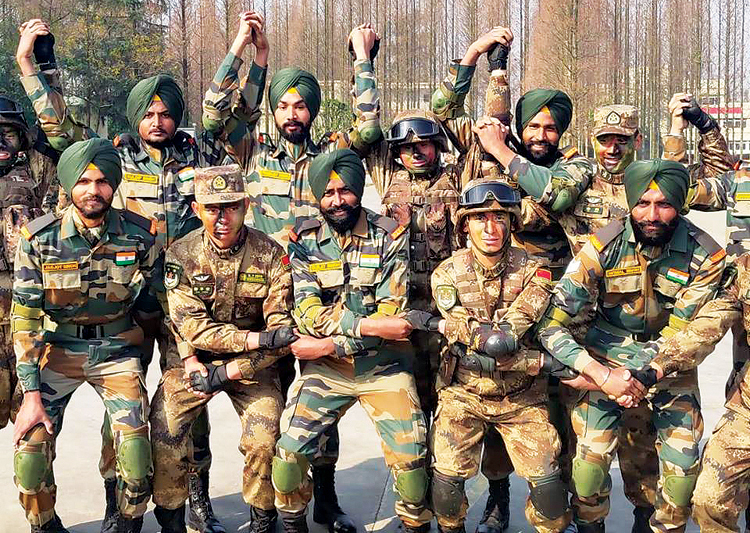 The Indian contingent was led by Col Puneet Pratap Singh Tomar, Commanding Officer, 11 SIKH LI, while the Chinese contingent was led by Col Zhou Jun. Major General Kuang Dewang, senior representative of joint training from PLA, reviewed the parade in presence of a number of officials from both the nations. The exercise consisted of a balance of indoor classes and outdoor training activities. The exercise also involved tactical level operations in an international counter-insurgency/counter-terrorism environment. 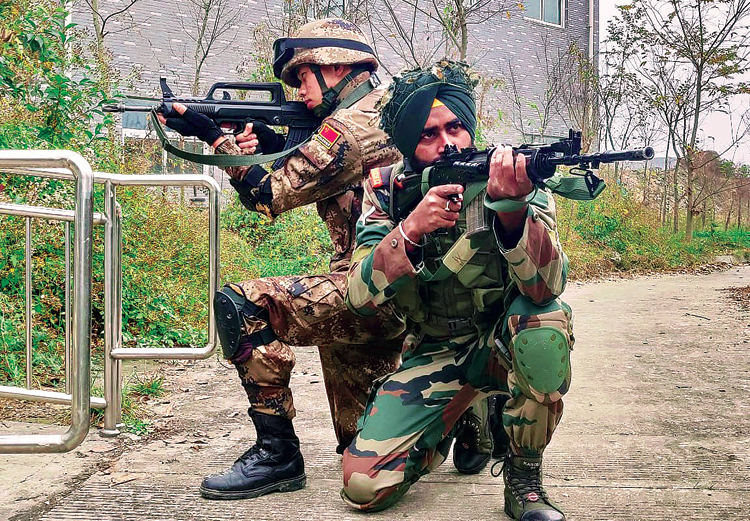 The exercise marks another example of a return to normal practice in military-tomilitary relations between the two countries after 2017, which saw bilateral ties dip during the Doklam stand off. A summit meeting in April 2018, between Chinese President Xi Jinping and Indian Prime Minister Narendra Modi in Wuhan, China, saw the two leaders work to reset bilateral ties after the standoff of 2017. The declaration issued by the Indian side after the Wuhan meeting noted that, “Prime Minister Modi and President Xi underlined that as two major countries India and China have wider and overlapping regional and global interests.” In the same statement, the Indian side noted that Modi and Xi acknowledged the common challenge posed by terrorism to both their countries.